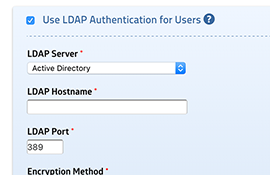 Authenticate user login against LDAP server (Active Directory, OpenLDAP, ApacheDS, etc.). 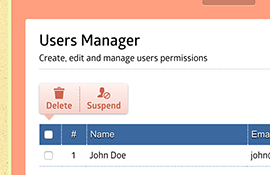 Easily manage all your users from a single dashboard. 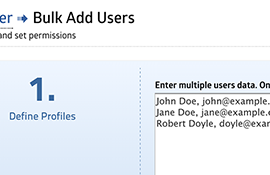 Add multiple users and set permissions all at once. 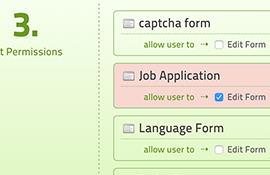 Allow users to create new forms or restrict them from editing existing forms. 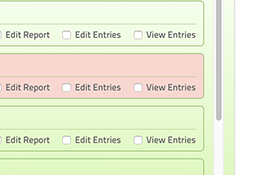 Allow users to edit entries or restrict them from viewing them. 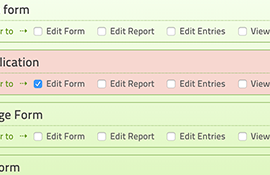 Allow users to create reports or restrict them from editing them. 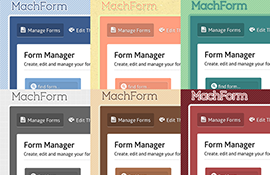 Allow users to administer your MachForm. 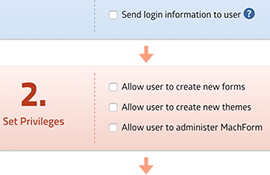 Restrict user to reading entries only, without any editing permission. 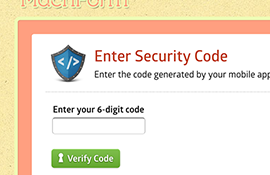 Prompt user to enter an additional six-digit security code to log in. 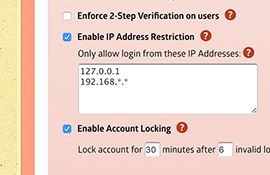 Block unauthorized IP addresses from accessing your MachForm. 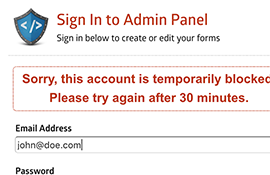 Temporarily lock the user account after several invalid login attempts. 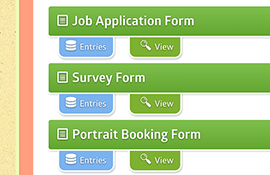 Pick from six available admin panel themes and use your company logo.